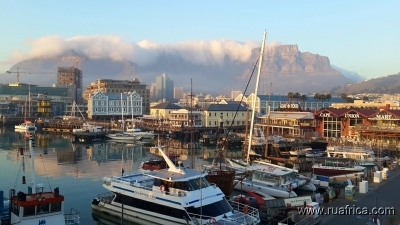 About 7 million tourists visit South Africa every year and most of them make a stop in Cape Town during their trip. 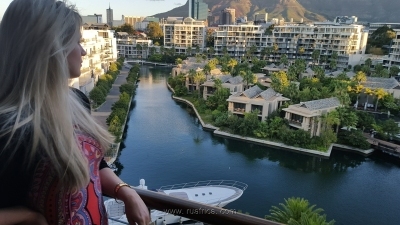 Breathtaking landscapes, two oceans, mild Mediterranean climate and magnificent mountains make Cape Town an important tourist region in South Africa. Rich in culture the Mother City boasts plenty of historical museums, art galleries, restaurants, theaters and night life entertainment. 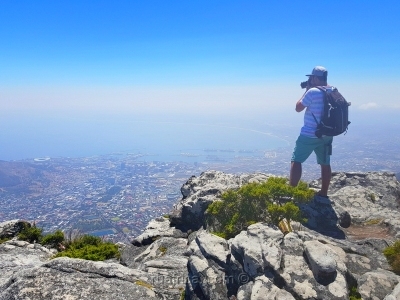 The first place of attraction to visit in Cape Town is Table Mountain – officially a 7 Wonder of Nature! This extraordinary nature wonder attracts more than 800 000 tourists every year from all over the world. 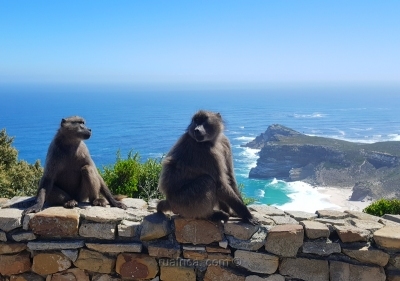 Other places to see in Cape Town are Cape Peninsula with legendary Cape of Good Hope, wine estates, nature reserves along the Garden Route, amazing landscape of the West Coast and Bushmen rock art in the Karoo desert land. 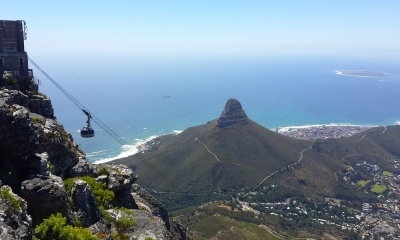 Ariel Cableway to the top of Table Mountain, height 1086 meters with 360-degree panoramic view of Cape Town. 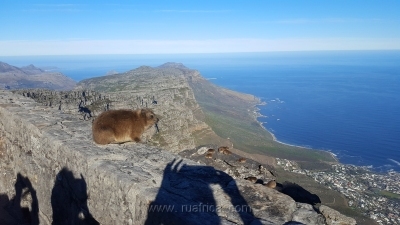 Walk along the top of Table Mountain, the home of many endemic plants and animals. 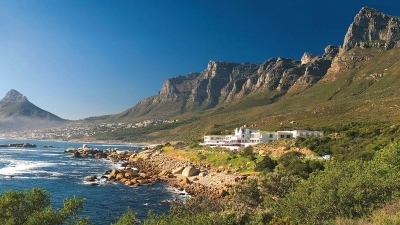 Drive through scenic Sea Point, Clifton, Camps Bay and the range of magnificent rock stacks – Twelve Apostles. 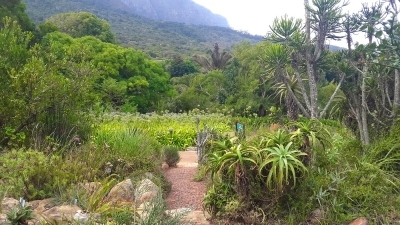 Tour in Kirstenbosch Botanical Garden with 80% of endangered plants. Walk through Dinosaur’s Valley, Colonel Bird's Bath, and Camphor Avenue. 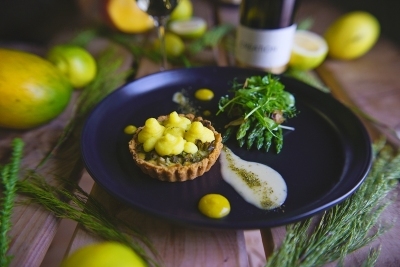 The Garden covers 528 hectares – 60 hectares are cultivated, while the rest extends over the mountain as far as Maclear’s Beacon, covering areas of indigenous forest and naturally occurring mountain fynbos. On Sunday evenings between December and March, musical sunset concerts are held on the grounds. 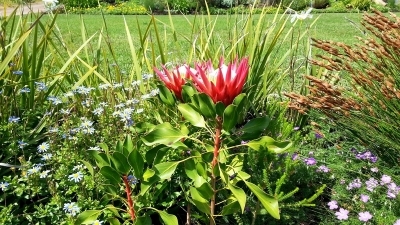 Lunch in the garden can be arranged within the beautiful surroundings of exotic plants. 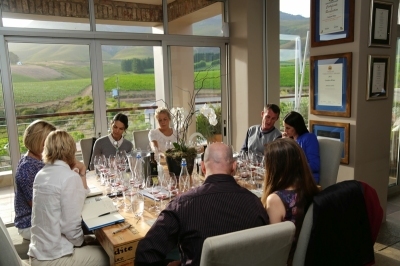 We continue with wine tasting at the Groot Constantia Estate – the oldest and the most historical of wine farms in South Africa. 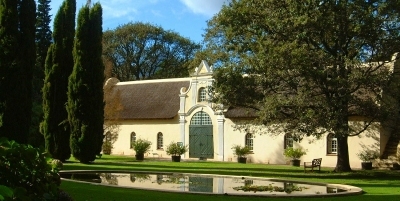 The manor house is a magnificent example of Cape Dutch architecture and the wine museum pediment is one of the sculptor Anton Anreith's masterpieces. Transport, services of English or Russian tour guide and entrance fees are included. Trip to the Cape of Good Hope Nature Reserve (located at the south-western tip of Africa) passing through the most beautiful Chapman's Peak Drive. Our adventure starts with a 40 minutes boat cruise to Seal Island with animal and birdwatching in the panoramic Hout Bay. 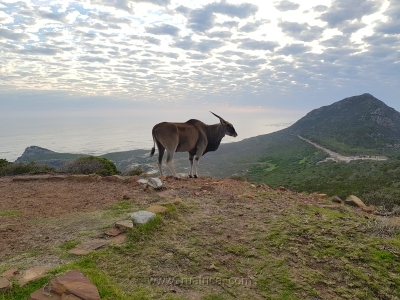 Continuing along the coast, we enter the Cape of Good Hope section of the Table Mountain National Park, with its abundance of natural beauty. This is home to more than 2000 plant species and many species of animals, including antelope, baboon, ostrich and a wide variety of birds. 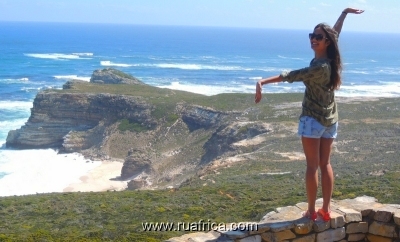 We then go to Cape Point, the extreme tip of the Cape Peninsula where you may take an optional funicular trip to the lighthouse look-out point at the top of the cliffs. This place witnessed countless maritime disasters. It is the legendary home of The Flying Dutchman doomed forever to beat its way through the Indian Ocean without ever succeeding in rounding the headland. 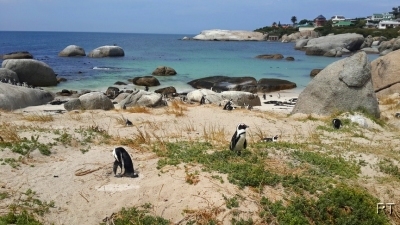 Visit Boulders’ Beach to see the world famous penguin colony – average 3000 African penguins. Visiting Ostrich Farm for souvenirs. 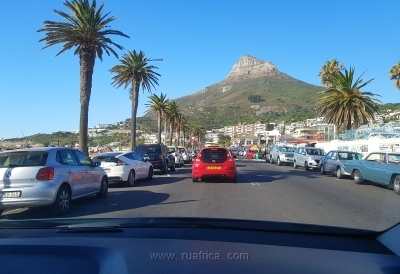 On the way back - driving through the beautiful beachfront towns of legendary False Bay - Simons Town, Fish Hoek and Muizenberg. Transport, services of English or Russian speaking guide and all entrance fees are included. Wine tasting at the 3-5 estates of you choice (or will be recommend by guide). 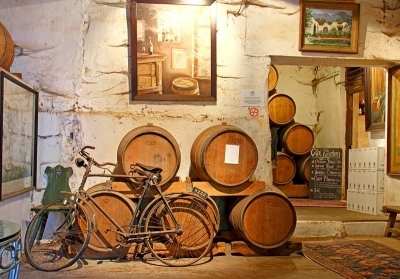 Wine cellar tour in a wine farm where you will be told the story of Huguenots who ran away from France carrying the secrets of French wine recipes. 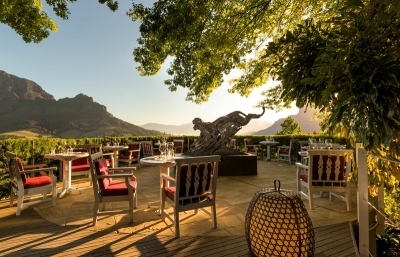 Visit the historical town of Stellenbosch. 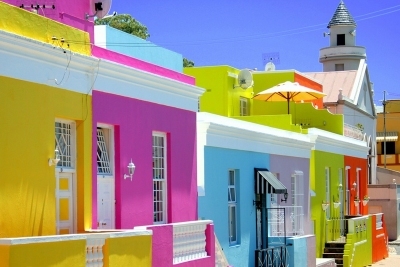 This is the second oldest town in South Africa, and is famous for its Cape Dutch houses and for being the heart of the South African wine industry. Visit Village Museum where the history of Stellenbosch is on display from the beginning of the 18th Century. 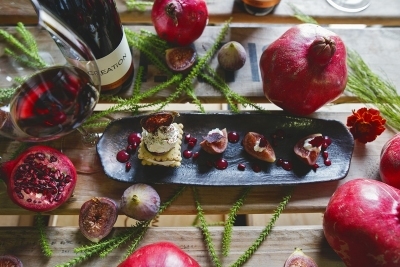 In the Paarl wine valley there will be cheese and wine master tasting on the farm Fairview or visiting the biggest cellar in the world of the KWV. 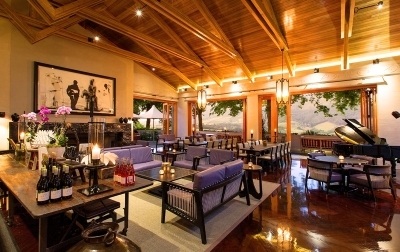 Visit the town of Franschhoek where you can taste sparkling wines in the breathtaking Elephant Valley Estate. 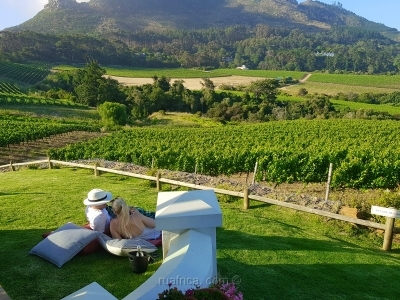 The scenic town of Franschhoek (translated as French Corner) - this beautiful valley was occupied by the French Huguenots in 1688, and today it still boasts a French culture. Transport, services of English or Russian speaking guide, wine tasting and entrance fees are included. 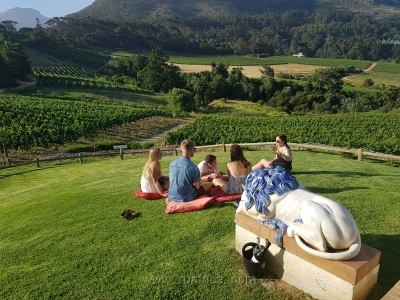 Discover the beauty and history of the Cape Winelands (Wine Route). 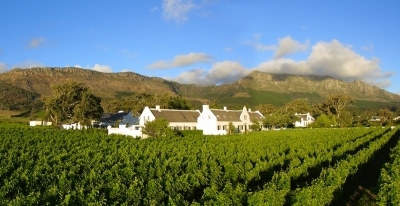 Cape Dutch architecture, rolling vineyards, fine wines and beautiful mountain ranges are the order of the day. 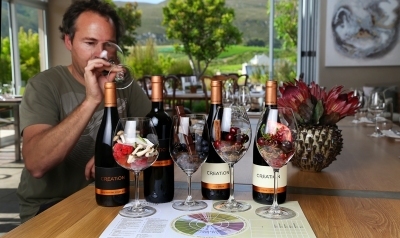 Wine tasting on Premium wine farms of Stellenbosch is the main attraction on the itinerary. 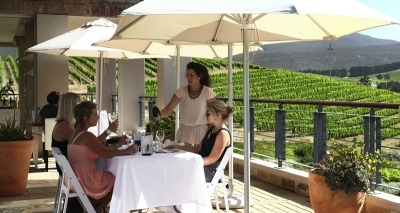 Visit the historical town of Stellenbosch. This is the second oldest town in South Africa. 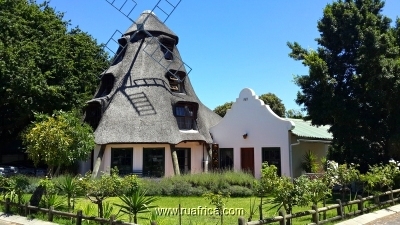 It is famous for its Cape Dutch houses and for being the heart of the South African wine industry. Tour through a brandy cellar where you can relax and enjoy drinks from their best production. 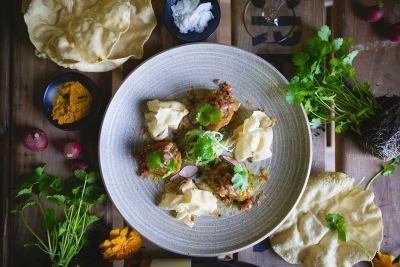 Traditional South African cuisine over lunch at the finest's restaurants on the route will be arranged as per your choice. 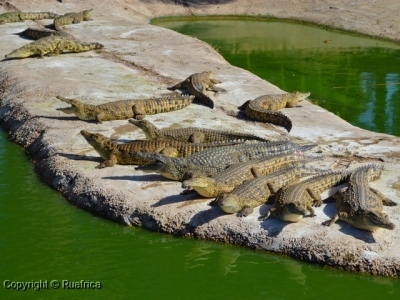 Tour to the oldest South African Crocodile farm breeding more than 3000 reptiles every year can be arranges as an optional extra. Transport, services of English or Russian speaking tour guide and wine tasting are included. 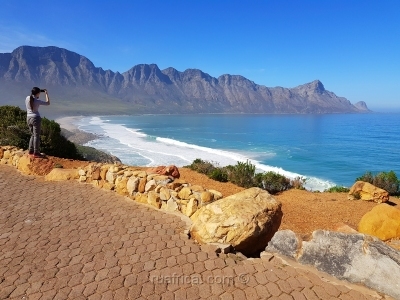 Driving through popular beaches of Strand and Gordon’s Bay to the warm and sunny town of Hermanus. It is a popular holiday resort in summer time where a good combination of all modern amenities are found in this charming fisherman's village. August – November is the calving season and whales are so close to the coast that you can take excellent pictures and watch them frolicking in the ocean. Visit the Old Harbor Hermanus with panoramic view of Walker Bay. 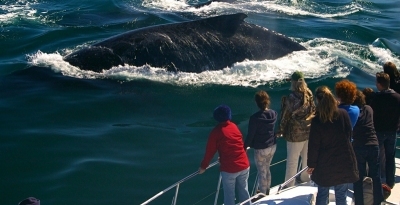 Enjoy 2-hour cruise with whale watching, Seals, Dolphins, White sharks and some birds. On the way back - wine tasting at one of the estates in Hemel-en-Aarde Valley. We will walk and stop at panoramic places along the Indian Ocean coast during the trip where you can make photoshoots for you memories. Transport, services of English or Russian speaking tour guide and entrance fees are included. All cruises weather permitting and confirming few days before the tour departure. 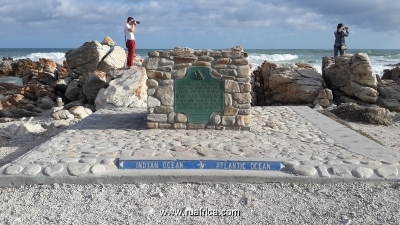 Trip to Cape Agulhas (10 hours) - the meeting place of the Indian and Atlantic oceans. 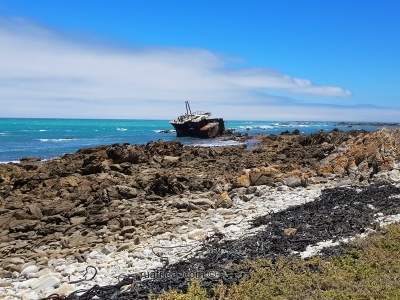 Cape Agulhas is the official point where the cold Benguela current of the Atlantic Ocean and the warm Agulhas current of the Indian Ocean meets. It is the most Southern point of the African continent, which coast is also known as the "Graveyard of the ships". 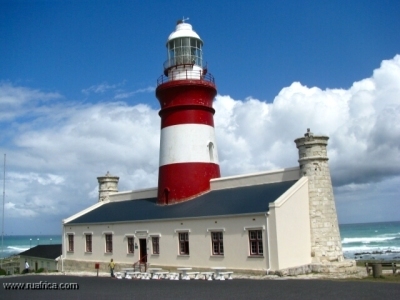 Cape Agulhas Museum and Lighthouse are the witnesses of numerous maritime disasters. Shipwrecks are of great interest to divers in this place. 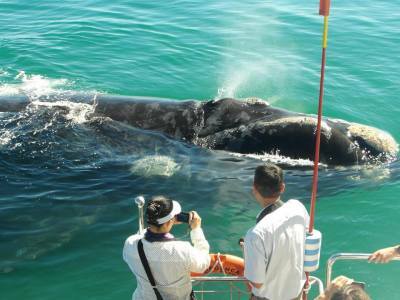 Visit Hermanus for watching the whales (season in August-November). 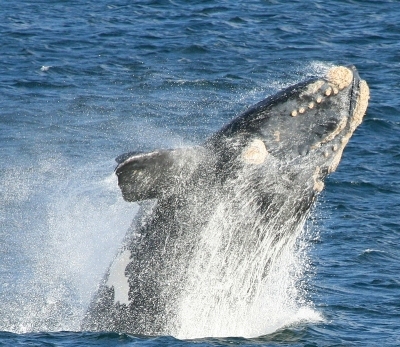 It offers the best whale viewing from the coast. 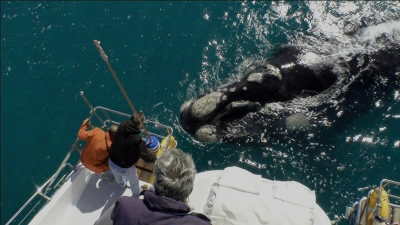 The Southern Right Whales and Humpbacks Whales frolic in ocean and amazes thousands of visitors to the town. Take your camera for this ocean safari and enjoy the biggest sea animals. Rate: from 200$ pp. Transport, services of English or Russian speaking guide are included. *Day tour prices on request. 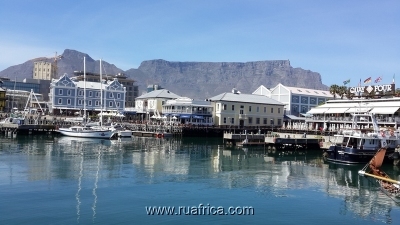 Cape Town historical City tour (duration 4 hours) - most interesting places of attraction. 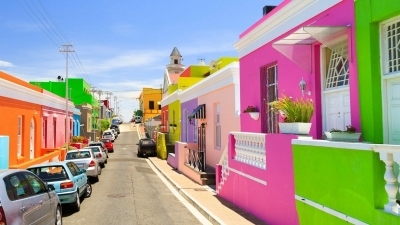 History, culture and traditions of Malay Quarter - Bo-Kaap colorful Streets. 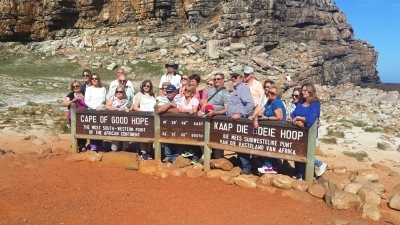 Excursions to museums and to the oldest surviving building in South Africa – «Castle of Good Hope». The origin of the castle dates back to Jan van Riebeeck, who arrived here in 1652. This is the oldest surviving building and well preserved too, the pentagonal fortress built by personnel of the Dutch East India Company back in the 1660s-70s. 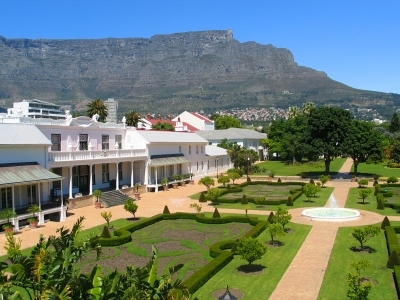 Today it houses the regional headquarters of the South African Defense Force in the Western Cape and a military museum. Tour in «The Company Gardens» - the beginning of South African colonial history. Excursion to «Diamond African Museum» - around the workshop where diamonds and other gemstones are cut, polished and graded. Rate: from 70$ pp. Transport, Services of guide, entrance fees are included. 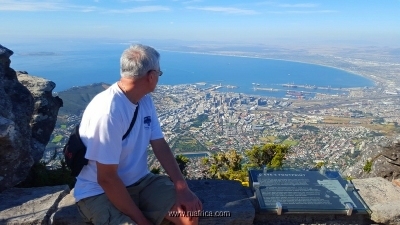 Cape Town general tour (duration 4-4,5 hours). 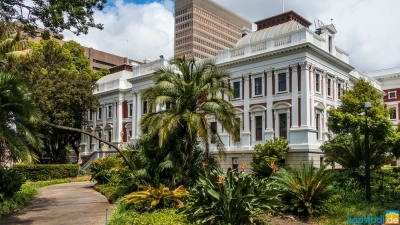 Visit Cape Town museums and culture sights, famous Adderley Street, Long Street and «The Company Gardens» - the beginning of South African colonial history. Tour to Malay Quarter - Bo-Kaap Streets. Visiting «Castle of Good Hope» – the first building in the South Africa built by Europeans. Aerial Cableway to the top of Table Mountain offering a panoramic view of Cape Town. 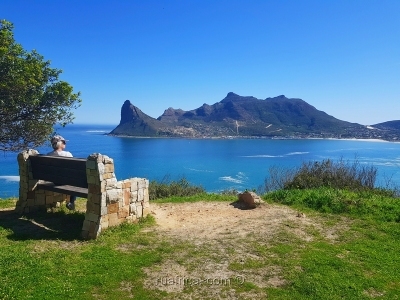 It is Cape Town’s most famous landmark – a quick spin by revolving cable car to the 1086m summit will give the visitor a grand view of one of the most beautiful cities in the world. The 360-degree view from the rotating cable car is a “must see” for any visitor. 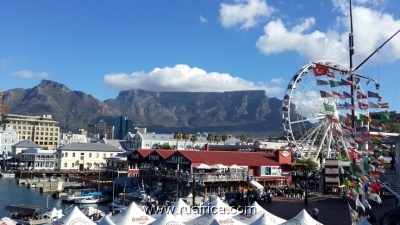 Walk through V&A Waterfront - Cape Town's famous harbor with entertainment venues, indoor shopping, outside vibrant atmosphere with mountain and ocean view. Transport, Services of tour guide (English or Russian speaking) and entrance fees are included. Boat trip to Robben Island whose prison was once home to former South African president Nelson Mandela as well as many other apartheid political freedom fighters. 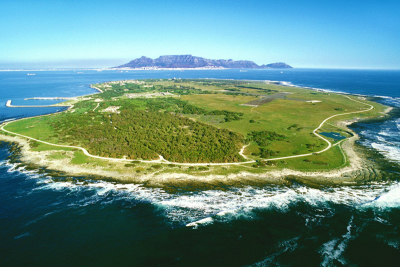 Visit the Robben Island Museum and a tour around the island. 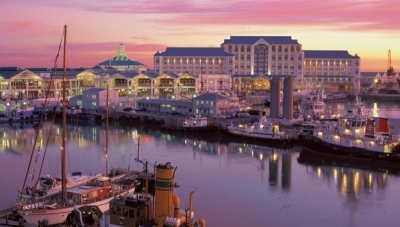 After the tour you can spend some time in the V&A Waterfront or "Two Oceans" Aquarium with large viewing windows. Over 3000 living sea animals, including sharks, fish, turtles, and penguins are on display. Shopping at Craft Markets offering the biggest choice of South African hand crafted goods. Services of tour guide (English or Russian speaking), trip to island are included. 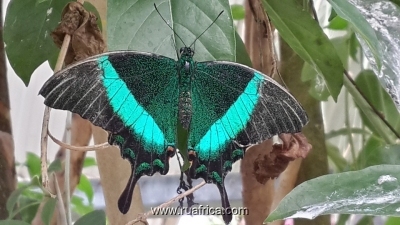 Half-day tour (5 hours) to tropical Butterfly park where live butterflies fly freely in a beautiful covered garden. 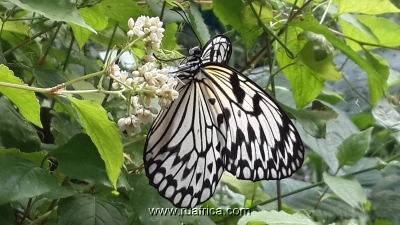 On display is also many Southern African insects including Tarantulas and bugs from Madagascar. There you can visit Birds and Reptile parks. Season - all year round. It is perfect place for family with kids. 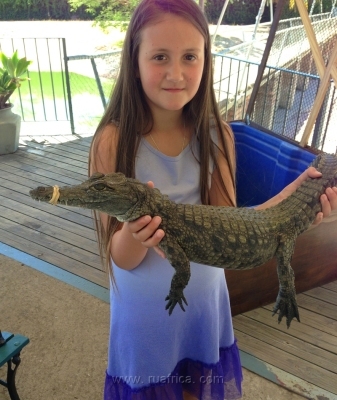 Visit the largest breeding Crocodile Farm in SA with a briefing tour about these amazing reptiles. There you can enjoy kids play park, curio shop and crocodile cage diving for extra fun! Transport, services tour guide (English or Russian speaking), entrance fees are included. 1. 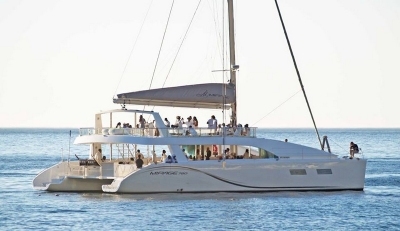 Morning and evening cruises on a comfortable boat along Cape Peninsula including cold drinks, glass of champaign and snacks (provisional) on a luxury catamaran, the "Mirage". See the splendor of the Mother City laid out before you in all her glory. 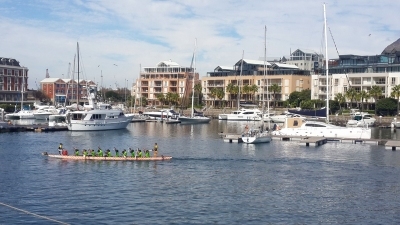 Departs from V&A Waterfront. Duration – 1,5 hour. Rate: from 30 $ USD per person. Private function rate: from 1500 $ USD (up to 120 guests). 2. 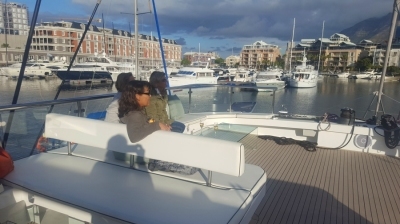 Sunset dinner cruises departing from V&A Waterfront, duration up to 2 hours. 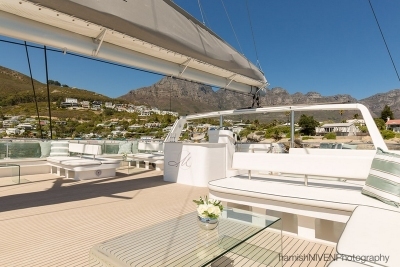 Sailing along the Atlantic coast where you will enjoy an amazing sunset, view of Table Mountain and mountain range «12 Apostles». 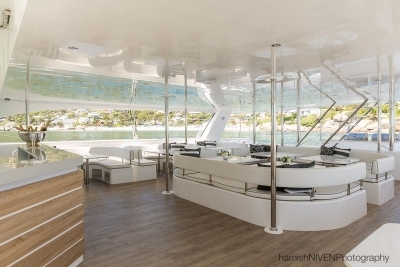 Dinner can be arrange by the best chefs of Cape Town on the luxury catamaran, the "Mirage". Can accommodate 120 guests for private functions. 3. 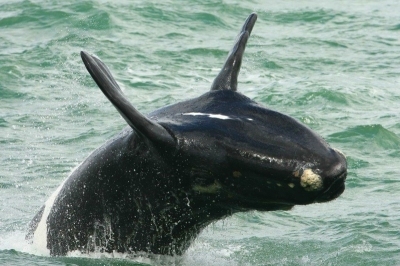 Whale watching cruises, dolphins, seals, African penguins and Great White sharks along the Indian ocean coast of Hermanus or Gansbaai area. Rate: from 60 $ USD per person. Can be booked for private function by request. Price can be calculated in any currency convenient for a client: ZAR (R), USD, EUR. Payments with Visa/Master card. What else to do in Cape Town ?